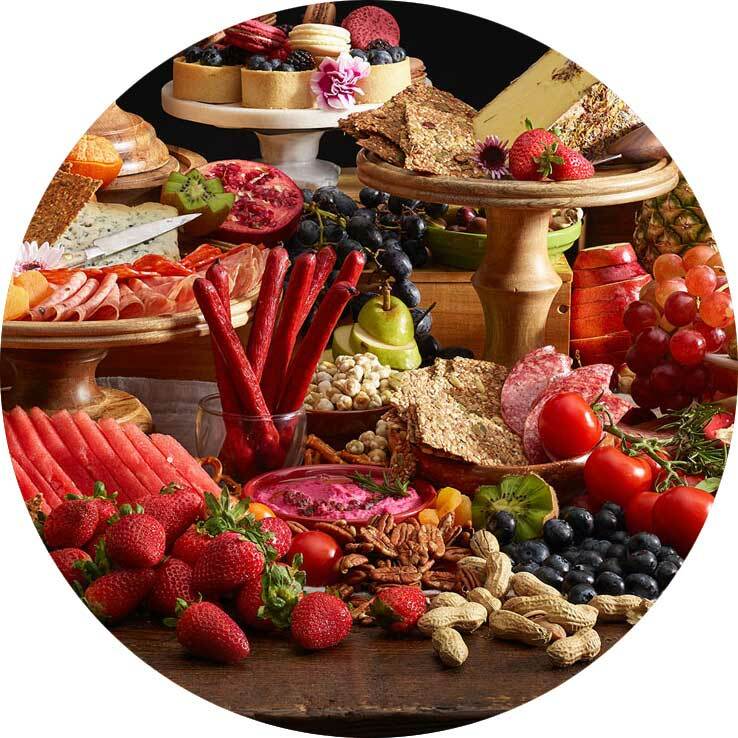 A charcuterie board lays out many lavish treats before your eyes. Sample from a variety of cheeses, from blues to brie and everything in between. Find your favourite cheeses nestled among perfectly paired sausage selections, made of local meats that are smoked and spiced. Of course, there are sweet chocolates, as well as freshly baked breads, and salty delights like ripe olives and crackers. You’ll also find unique mustards and jams with which you can combine flavours and experiment with tastes. Order a board and have it delivered for your special event, or pick it up yourself. You can even bring in your own board, so you can create a personal masterpiece. For the Foodie: Leave it to us to create a spectacular spread, or personalize your board. 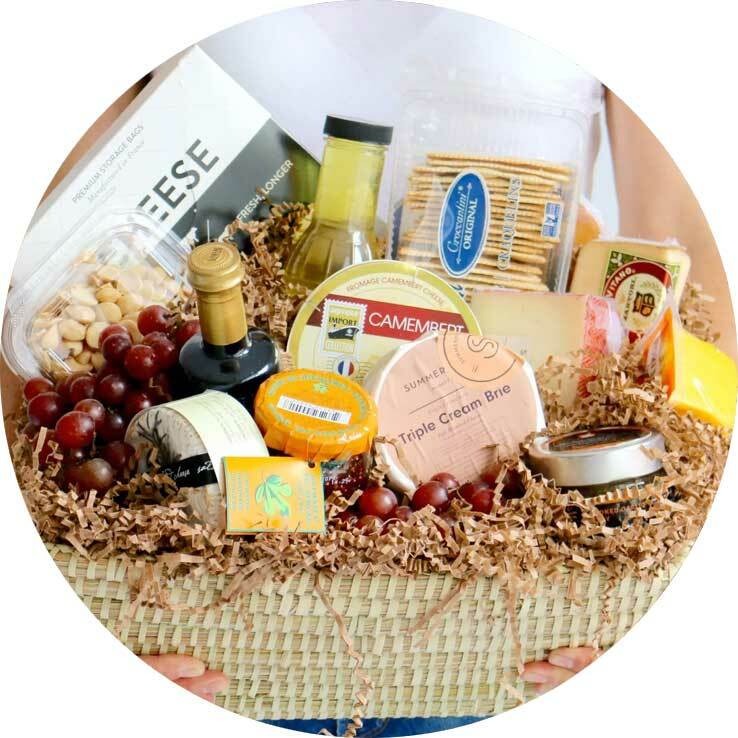 We could all use more gratitude in our life, and a gift basket from The Perth Cheese Shop is the perfect way to express your gratitude! Our baskets are art for the eyes and a delight for the taste buds, arranged for beauty and packed with indulgent treats. Surprise your love to a picnic basket and enjoy a sunny afternoon with fine foods —a simple but meaningful gesture they’ll always remember. Special occasions always call for food! Planning a wedding, shower, birthday, retirement party or other special occasion? Nothing brings family and friends together like a beautiful spread designed to indulge the senses. Our grazing tables are the perfect focal point for all your special occasion, drawing your guests in with delicious delicacies in an eye-catching display. The taste never disappoints and your guests will be wowed. 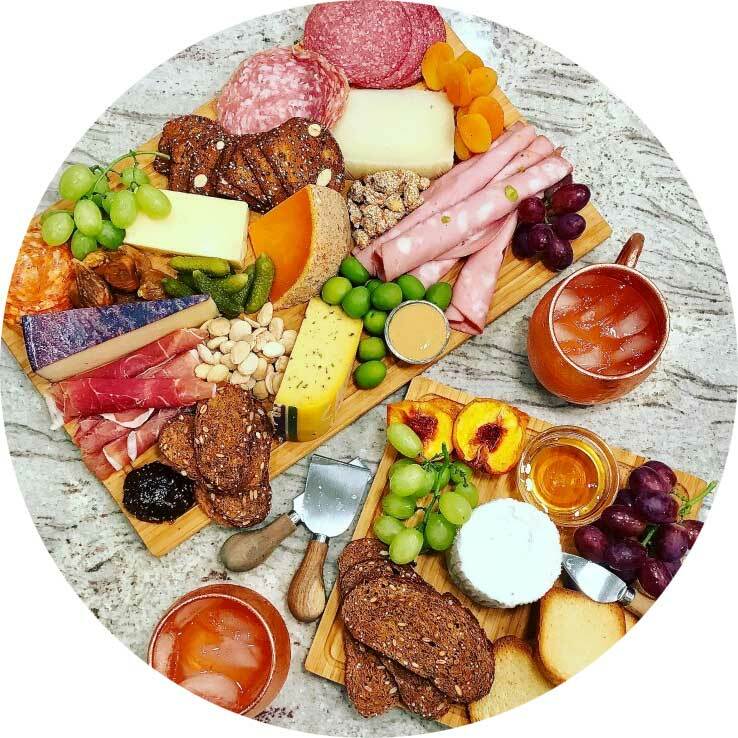 Order your fine cheeses, gift baskets, charcuterie boards, and more, directly from our website! We deliver across Ontario, and local delivery is only $5. Or, you can arrange to pick your order up from our beautiful shop.